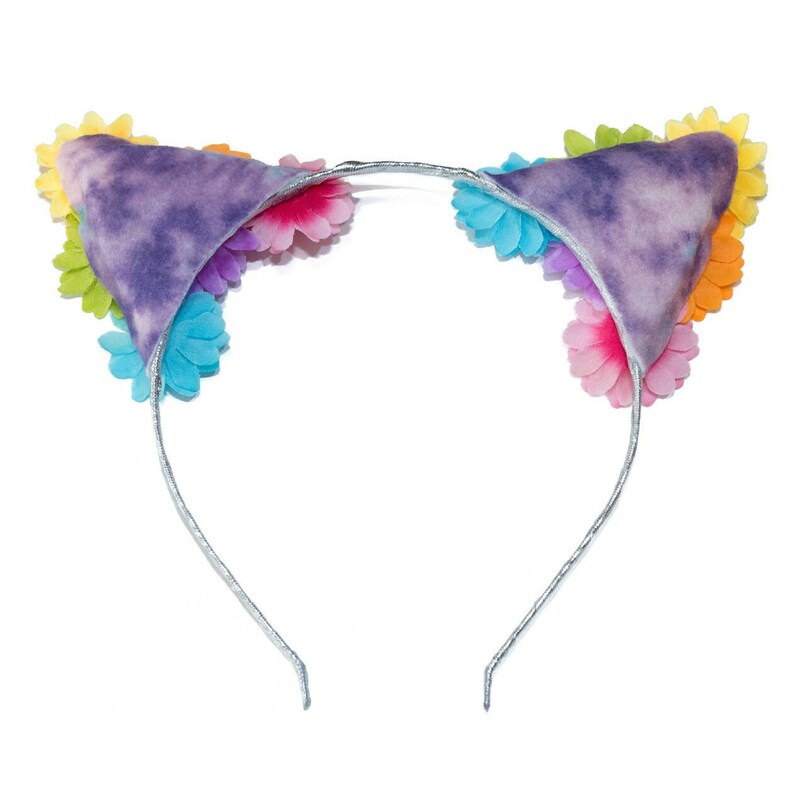 Sparkle and shine when you wear a pair of Kitty Katrina Pastel Rainbow Jewel Cat Ears! 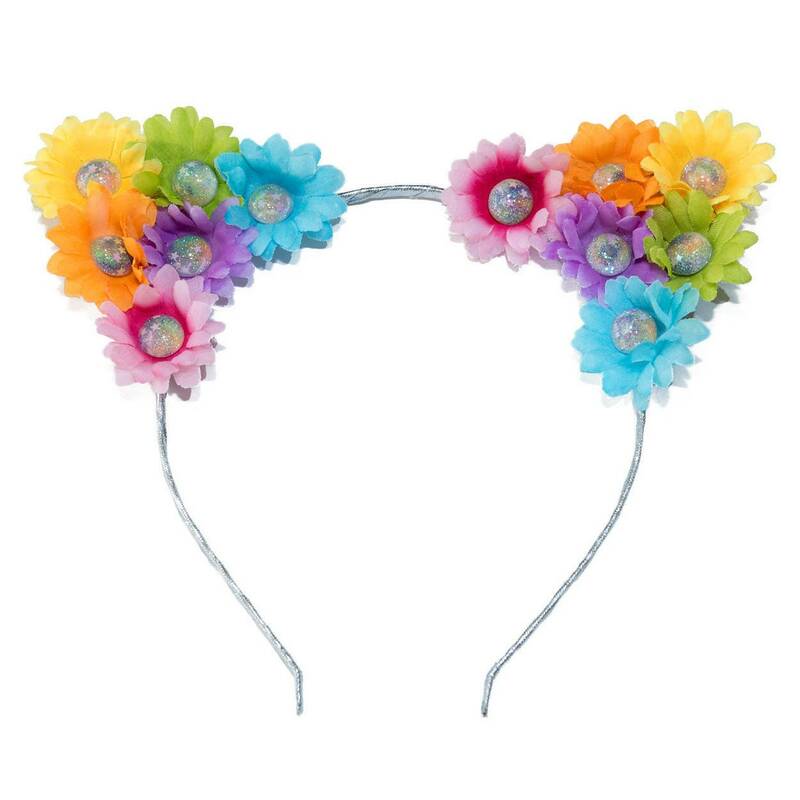 This headband features pastel rainbow-colored daisies with sparkling, handmade pastel rainbow jewel centers; a silver headband, and pastel blue / pink / purple tie dye backs (see images). Product Details: 1 Headband is included in this purchase. This Headband fits most head sizes. The back of the ears will be covered in a pastel tie dye felt fabric so these ears will be beautiful from front and behind. 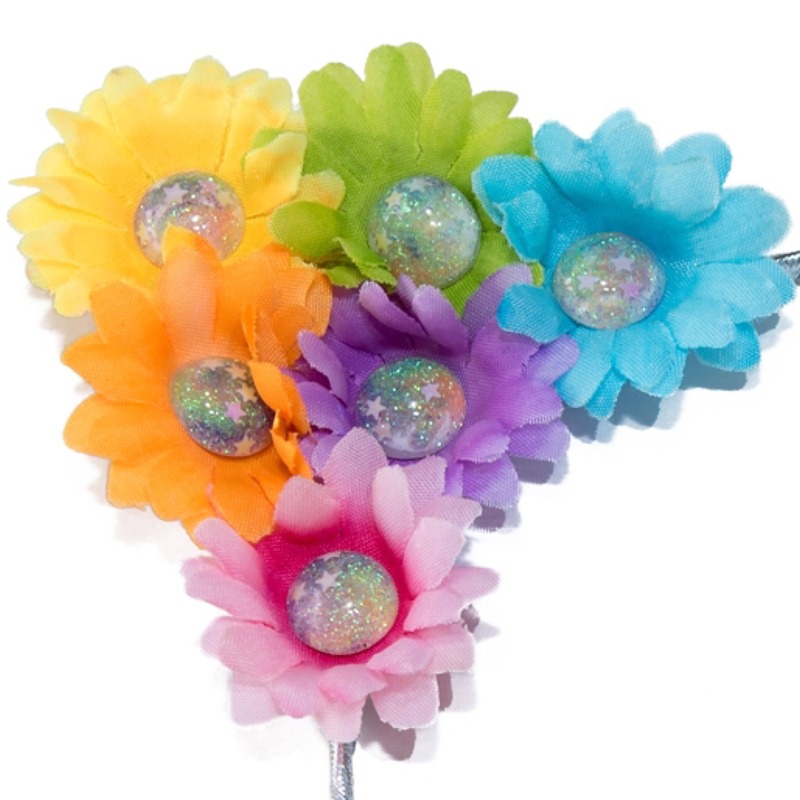 The felt ear backs are cut from a larger piece of fabric, therefore, the exact pastel blue / pink / purple colors displayed on the ear backs will vary with each headband that is handmade, making each piece unique :) Each daisy is roughly 1.3"-1.5" in diameter.